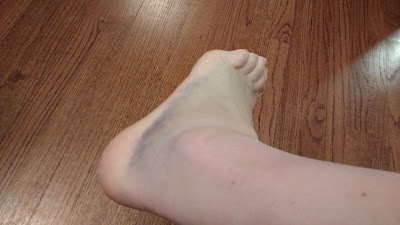 This is a picture of my ankle eight days after I sprained it. This picture is on day eighteen. I think it's getting better even though it looks mostly the same. I'm hoping for an injury-free 2017. Darcie sprained both her ankles at the same time last summer. 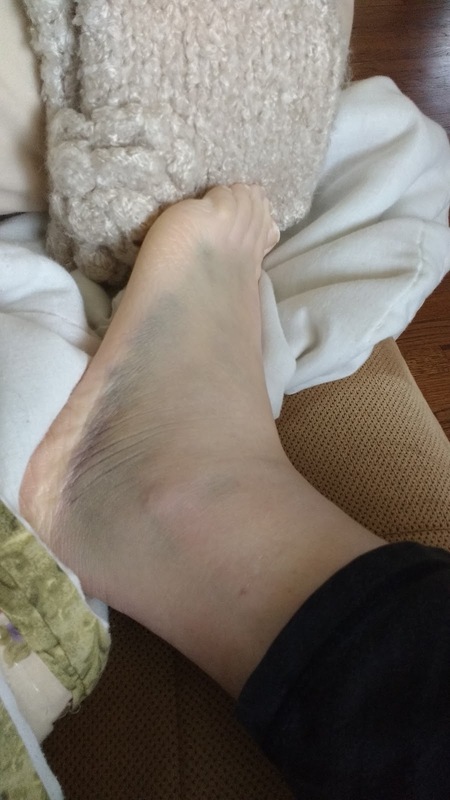 She ended up in a walking boot on the worse one for about a month. Hope you heal soon.